FIBR is here to serve its members and the larger food industry through business seminars, networking opportunities, and other value-added activities. Member-driven programs are designed to provide you with information you need to stay competitive and address important food industry and business-related issues. Beyond our regular annual and bi-annual programming, each year the FIBR Board of Directors, Staff and Members create a calendar of business seminars and networking opportunities based on interest, need and trends. 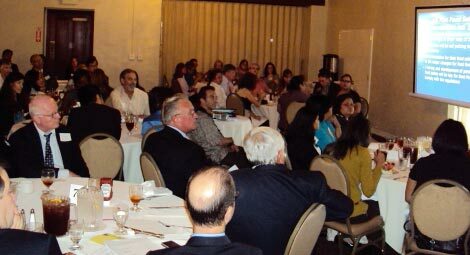 Past events have included the topics of Third Party Audits, Creating a State-of-the Art Food Facility, Succession Planning, Sexual Harassment, Co-Packing, R&D Tax Credits, Kosher & Halal Certifications, Six Sigma, Challenges & Rewards of Family Businesses, Waste Management, Disaster Preparedness for Food Facilities and so much more. FIBR members tell us Networking is the biggest benefit of being a FIBR member. FIBR annual networking opportunities include the Chinese New Year Networking Mixer and the Taste of FIBR Awards Dinner. FIBR partners with other organizations throughout the year to bring Members other opportunities for Mixers, Plant Tours and more. 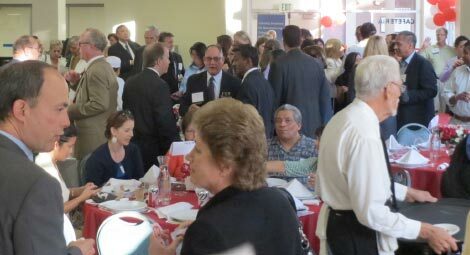 Business Seminars and annual events also provide venues for networking among members. Register to be on our contact list and check our website frequently for the latest announcements. Also visit our Community & Industry Announcements page for events sponsored by our partners. FIBR Programs include Business Seminars to Keep You Competitive! 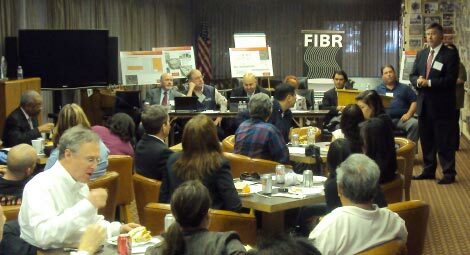 FIBR serves its members though seminars, networking opportunities, and other value-added activities. Past programs have included topics like Creating a State of the Art Food Processing Facility (pictured here) to Business Succession Planning, Getting Through Your Third-Party Audits and Everything You Ever Wanted to Know About Co-Packing! New and Current Food Regulations to Keep You Up at Night! ...Was the focus of a recent seminar that FIBR co-sponsored with partner, the Food Consultants Group. The FDA Food Modernization Act, BPA Packaging, Gluten-free and Nutritional labeling were the covered topics at this sold-out seminar. FIBR's Annual A Taste of FIBR Awards Dinner is our Networking event of the Year! FIBR honors its finest with the Community Partner of the Year, Food Processor of the Year, the Food Safety Achievement and Most Innovative Product Awards! Appetizers to Desserts are made from FIBR members products – and the evening is topped off with a Silent Auction, Raffle and Ice Cream Social! A co-operative effort between FIBR and the public health departments from the local to the federal level, past forums have covered Bio-terrorism, Recalls, Top 10 Violations to Watch out for, Country of Origin issues, Emergency Preparedness for Food Facilities and the latest laws and regulations. The forum also includes time to meet with your inspectors in a friendly environment. 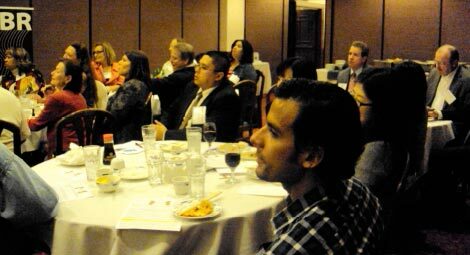 Members enjoy our Annual Chinese New Year Networking Mixer! When asking members what they found most valuable about their membership, the number one answer is the great FIBR Network! Business deals, problem solving, and friendships are built on our strong FIBR network – Join FIBR and get Connected Today! FIBR's Going Global Roundtable Series hosts free roundtable for FIBR members on international trade/export opportunities with countries like Korea and Canada. FIBR Associate Member, Gathers' Strategies, is the catalyst for bringing together important information and key contacts to match your exporting interests! A Taste of FIBR is the networking event of the year! FIBR recognizes its finest with presentations of the Community Partner of the Year, Food Processor of the Year, Food Safety Achievement and Most Innovative Product Awards. The Bi-Annual Southern California Meet Your Inspectors Forum is a project of the Regional Wholesale Food Processors Committee (RWFPC). Since 2005, this Bi-annual event attracts food industry professionals from all around Southern California:; food processors, grocers, food safety experts and others gather for this full day program with includes a networking lunch. FIBR kicks off each new year with the Chinese New Year Networking Mixer! Held during the week of the Chinese New Year (usually early February), this event is our “holiday” gathering and first networking opportunity to set the year off right! FIBR hosts free roundtables for FIBR members on international trade/export opportunities for food and beverage companies. Roundtables include opportunities to meet with trade representatives from countries of interest in an intimate setting. 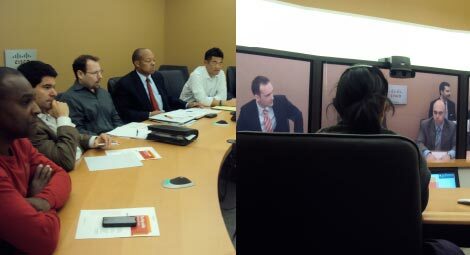 Examples of past roundtables include meetings with Korea and Canada. Often market demographics, tax and government incentives, supermarket chain data and regulation requirements are discussed.